I’ve gotta lot of work to do, but I wanted to share a recipe that I found from Lynn over at the Actor’s Diet. Check out the blog when you have a chance! In the last few days she posted about a wonderfully simple but really delicious Mediterranean salad, and so yesterday I decided to try it out. You can read the blog about her making this salad here, but I wanted to show you my version of the recipe that she posted. 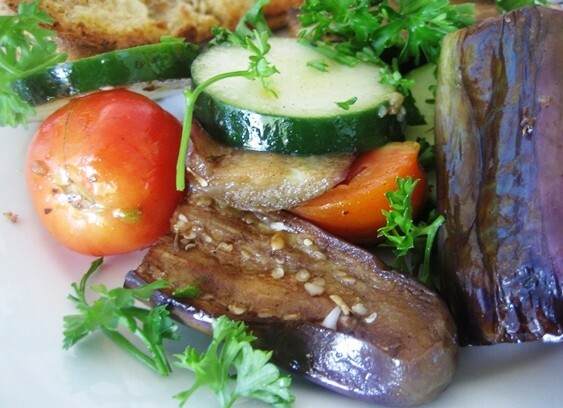 Basically grilled eggplant and zucchini in a special marinade, only available in the US. I went to the local supermarket here in Los Banos (Robinson’s) to try and see if they had any of the ingredients. They had most of what I was looking for except for the specific Heirloom tomatoes or Persian cucumbers. However, I found out that just the regular small native tomatoes and cucumbers sufficed. I of course couldn’t find the Misto alla Griglia that Lynn used in her recipe since that’s only sold in the US, so of course I decided to see what I could do with 2 extra large eggplant. (Surprisingly, there was no zucchini to be found in the store which was sorely disappointing). 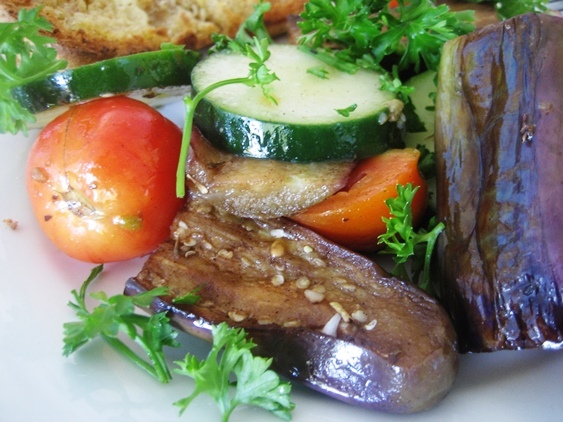 Since I didn’t have any of the already prepared eggplant and zucchini I decided to grill and marinade the veggies myself. Since I only had eggplant that’s all I used. And it turned out like this! After mixing together all the ingredients I had a zesty, refreshing and totally scrumptious salad. Best part was, that it was all totally healthy and it tasted great! 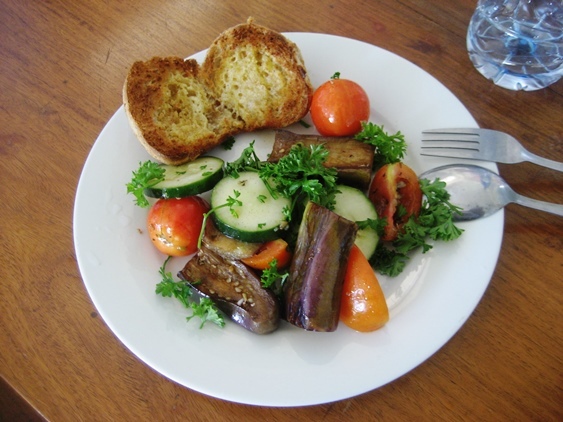 Here’s what I used to make the marinated grilled eggplant my way. Mix them all together and grill for 8-10 minutes a piece, while turning.